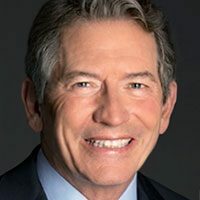 Mr. Siebel is the chairman and chief executive officer of C3, a leading software provider for AI digital transformation. Mr. Siebel was the founder, chairman, and chief executive officer of Siebel Systems, one of the world’s leading software companies, that merged with Oracle Corporation in January 2006. Founded in 1993, Siebel Systems rapidly became a leader in application software with more than 8,000 employees in 32 countries, over 4,500 corporate customers, and annual revenue in excess of $2 billion. Mr. Siebel is the founder and chairman of the Thomas and Stacey Siebel Foundation. Established in 1996, the Foundation funds projects to support energy solutions, educational and research programs, public health, and the homeless and underprivileged. In 2015 the Foundation launched the Siebel Energy Institute, a global consortium for innovative and collaborative energy research for the public domain. The Siebel Energy Institute fosters research collaboration among premier universities and spurs the greatest minds in engineering and computer science to address the most pressing energy challenges of our time. Mr. Siebel serves on the College of Engineering boards at the University of Illinois and the University of California, Berkeley. He is a director of the Hoover Institution at Stanford University and is a member of the American Academy of Arts and Sciences. Mr. Siebel is a graduate of the University of Illinois at Urbana-Champaign, where he received a Bachelor of Arts in History, an M.B.A., and a Master of Science in Computer Science.